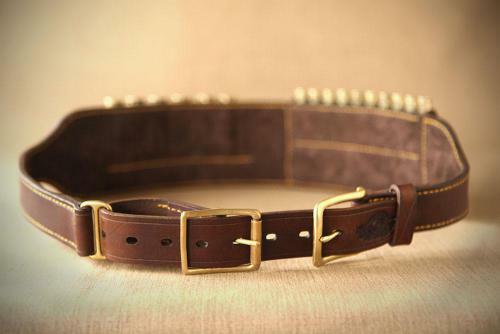 The Drilling Belt is cut from full grain leather and is painstakingly hand stitched by our team of local craftswomen. 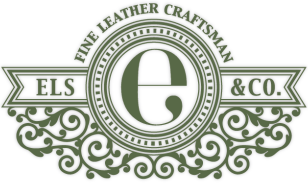 To ensure durability and comfort, we use solid cast brass while the inside of the belt is padded and suede lined for extra strength and a soft luxurious finish. 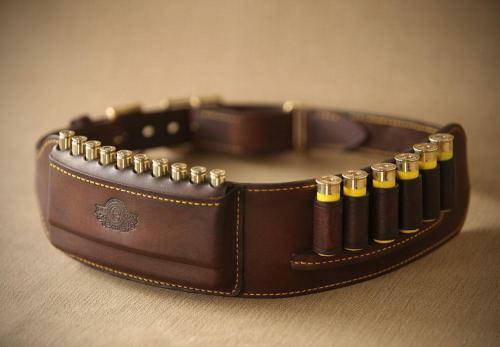 The leather loops which secure your rounds can be custom made to fit 12G, 16G, 20G, 28G & .410 caliber. 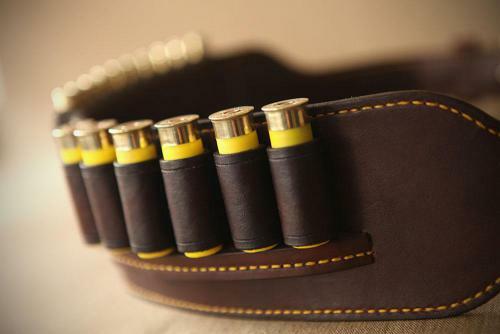 We shape these to fit 6 shotgun rounds on your belt. We also added a thick leather strip to the bottom edge of your belt to stop the rounds from falling through the loops. 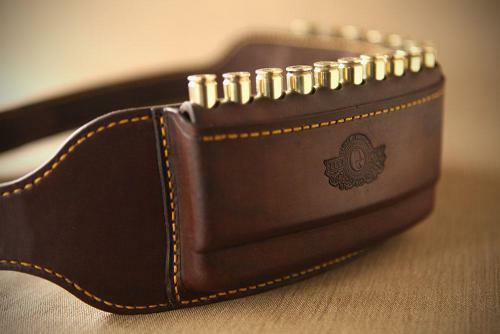 We integrated our Somerset Cartridge Pouch into the belt, giving you the capacity to carry up to 10 rounds. Just like the Eastern Cape's rugged mountains and open plains, The Somerset boasts the balance between simplicity and sturdiness. The leather loops guide each cartridge through the elastic loops ensuring that it fits securely at the bottom of your pouch.